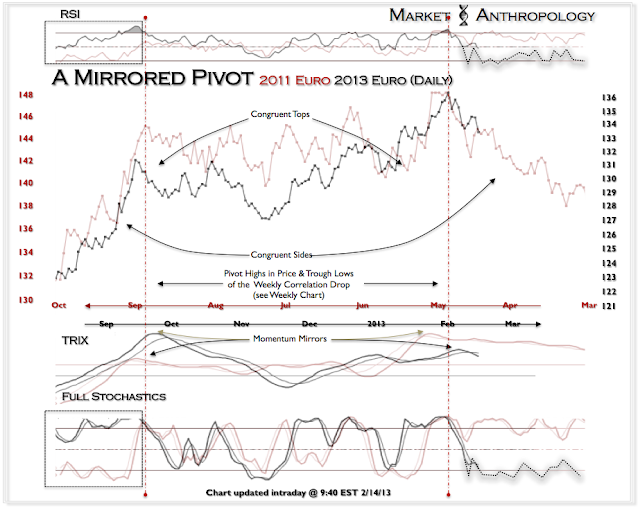 The euro appears to be following the mirrored pivot glide-path from this weekend (see Here). Going forward, we will be looking for downside momentum to become entangled around the bottom rail (e.g. stochastics & RSI). 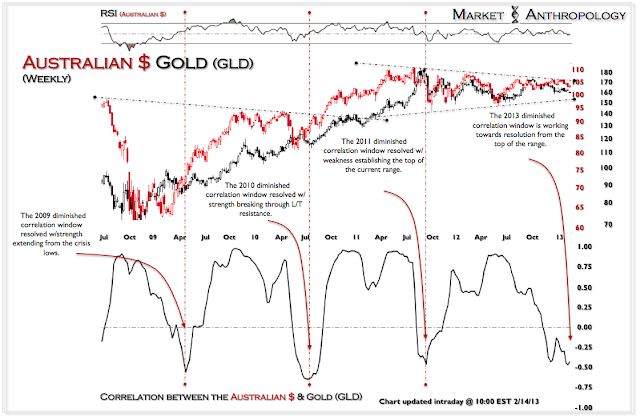 The window in the diminished correlation extreme between the Australian dollar and gold appears to be resolving (from last week, see Here). We maintain the bearish expectations of long-term breakdowns in both the Aussie as well as gold - as the respective pivots in this long-term relationship once again tighten. 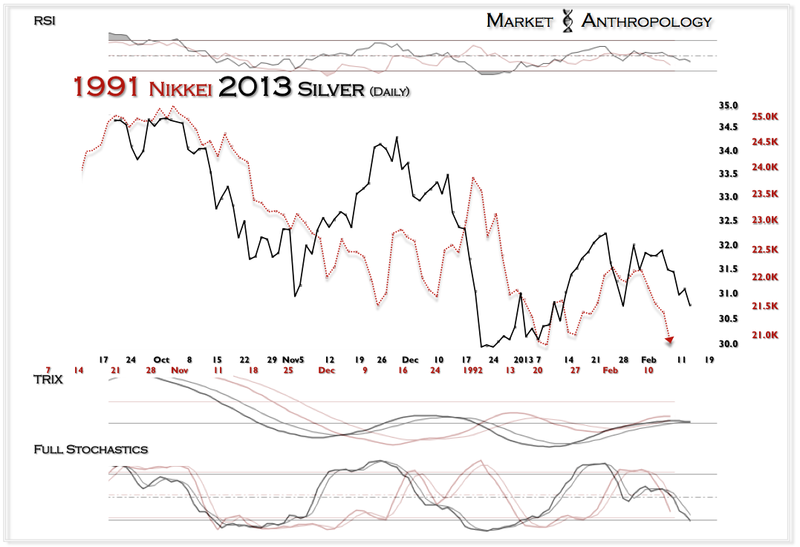 Silver continues to follow the unwind of 1991/1992 Nikkei comparative. Interestingly, it has taken its time since the last pivot and has aligned with the seasonality of the pattern. Should the comparative continue to be prescient, the lows from early January will be broken shortly.